It isn’t just the super-rich who are pleased with the GOP tax bill. Proponents of opening the Arctic National Wildlife Refuge to drilling are the closest they’ve been in decades to achieving that controversial goal. 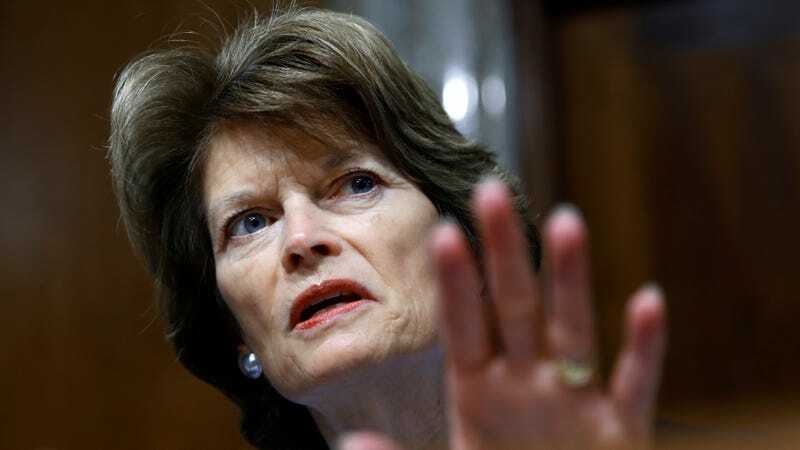 Included in the tax overhaul package that cleared the Senate in a 51-49 vote over the weekend was a bill championed by Alaskan Senator Lisa Murkowski that would allow the sale of drilling rights in ANWR’s 1.5-million-acre coastal plain, a critical habitat for Arctic wildlife that seismic surveys indicate contains some 7.7 billion barrels of oil. It’s a victory for pro-drilling groups in Alaska, who say opening the coastal plain for business will bring much-needed revenue to the state. (Every Alaskan resident gets a cut of the state’s oil revenue, too.) But it remains unclear whether the provision will make it into the bill’s final version. Even if it does, there’s no guarantee oil and gas companies will jump at the opportunity to lease the land, given the stiff opposition they’re sure to face from environmentalists, Alaskan Native tribes, and more. A recent Yale survey found that 70 percent of Americans oppose drilling in the refuge. In wake of the Senate vote, those who have opposed drilling in ANWR most vehemently are doubling down on their commitment to keeping the refuge off-limits. Miller is referring to the process of coming up with a consensus tax bill between the Senate and House versions. The House bill, which passed without a single Democratic vote in November, does not include a drilling provision. And while Senate majority leader Mitch McConnell has expressed confidence that differences between the two bills will be resolved smoothly, a there’s a slim chance moderate Republicans could sink the drilling effort. Last week, 12 members of the House GOP penned a letter to both chambers of Congress, voicing their opposition to allowing oil and gas companies into ANWR on the grounds that it could “threaten imperiled species and fragile habitat.” Many Alaskan wildlife biologists agree. Kara Moriarty, President of the Alaska Oil and Gas Association, which strongly supports drilling in ANWR, told Earther she had “no doubt there’ll be fierce pushback every step of the way.” She added even if the drilling provision makes it into the final version of the tax bill “it’s not a guarantee to drill,” simply that the government would be directed to conduct two lease sales within a ten year period. Whether any oil eventually gets pulled out of the ground will depend not just on what sort of opposition companies face, but on the future price of oil. That’s small consolation to conservation groups, who see an uphill battle ahead with only a small number of House Republicans indicating any opposition to adopting the Senate drilling provision. It’s unclear whether any of these representatives will wind up on the conference committee set to negotiate the tax bill this week. Groups like Earthjustice and Alaska Wilderness League are being joined on Capitol Hill this week by members of the Gwich’in Nation, a tribe in northeast Alaska and northwest Canada that has opposed drilling in the refuge for decades. To the Gwich’in, the coastal plain is sacred ground. It’s the calving site for the Porcupine Caribou herd, which has been a part of the tribe’s culture and a source of its food security for millennia. Greenland-Morgan said her people weren’t surprised by the Senate’s vote over the weekend, but they were “extremely disappointed.” Representatives of the Gwich’in Nation, along with allies from Alaska’s Inupiat community and other indigenous groups, will be holding an inter-tribal pray-in on Capitol Hill on December 6. Greenland-Morgan wouldn’t speculate as to what would happen if the drilling provision were signed into law. But she expressed hope that more and more Americans will join forces to oppose the selling off of some of the most pristine lands in the United States.